12 Governors Elect from 5 countries attended last January's program. Since 1969, District 7120 Rotarians have home-hosted 520 Governors Elect and their spouses from 43 countries worldwide. The idea for the program was conceived by PDG Milt Matthews and has been copied by many other Districts throughout the United States. 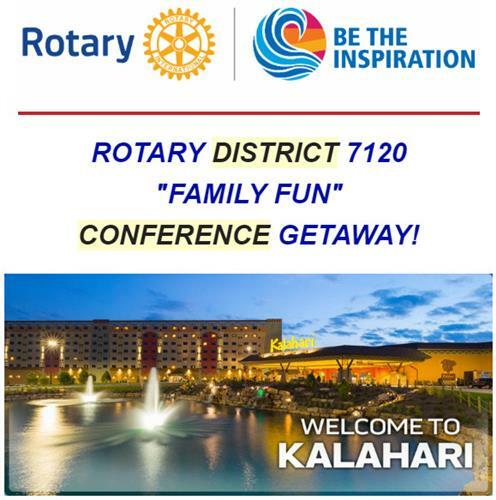 Each Governor-Elect guest is assigned two Rotary hosts so they are able to visit different areas of the district. The exchange is made in the middle of the period and the second host gets them to the airport for their trip to the International Assembly, held the following week. The guests live with the hosts, see the local sites, join in on local activities and where possible attend club meetings. Our District holds a special luncheon during the period at a time when all hosts and guests can meet each other. The guests will leave for the International Assembly with a bevy of new friends that will last a lifetime.